Visit and experience all that the new Crowne Plaza Denver Airport has to offer. A brand new lobby, front desk, business center and fitness center, complete Summer 2008. 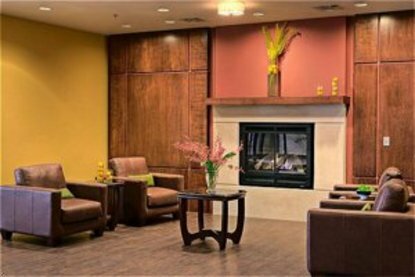 This hotel is conveniently located near DIA and just minutes from downtown Denver. Plush sleeping rooms with the new Crowne Plaza Sleep Advantage&reg Program, and granite counter tops. 24 hour room service is available. This hotel is committed to providing accessible facilities under the American Disabilities Act. If your accessibility needs are not met, please contact the Hotel Manager on Duty. Should you require additional information regarding accessible facilities for guests with disabilities, please call 1-800-Holiday (U.S. and Canada) or contact the hotel directly. For the hearing impaired, TDD service is available at 1-800-238-5544 within the U.S. and Canada.